Andy Warhol was a Leo with Leo Ascendant. But even if you don't believe in sun signs anymore, the chart shows that a star was born. You see it on the chart drawing: he was born when the Sun was rising. That means that the Sun is prominent (on the Ascendant). The Sun is a star, so : it is the sign of a star or a leader. He sure knew how to draw attention (another meaning of a prominent Sun) and how to be of influence. 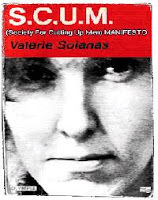 This influence was too strong for Valerie Solanas, the woman who shot him in 1968 after he lost her manuscript. This post is about the artist and the success in the chart of Andy Warhol and about the synastry with the woman who caused him a lot of pain. In his chart the Sun, Jupiter and Pluto (rising before Sun and Mercury) are prominent. Sun, Jupiter and Pluto are the combination of success. Jupiter/Pluto is making hard aspects with the Moon, Mars and Neptune and that is a statement of triple success. Also AC/MC is semi square the elevated Jupiter: growth is inherent. Sun in aspect with Jupiter increases self confidence. Those are more than the necessary amount of ingredients for fame (one is not enough, three or more is a good start, more of those ingredients, more chance to be a success - if you are on the right place and time-). The midpoint Sun/Moon is the midpoint of motivation. Sun/Moon is conjunct Mars and square Neptune. We see that he is motivated by fantasies, visions, ideals, dreams or beliefs (Neptune) AND by action, drives and energies. We also see that Mars is exactly square Neptune (risk of use and abuse of drugs or medication or...working in the non profit field, producing art). With 'non profit' one can earn a lot of money! ;) Jupiter/Pluto in aspect with Mars and Neptune resonate that success. It was very important to know the right persons (Pluto oriental) and money was, too (Venus semi quintile Pluto: a creative way to earn money). The fact that he dared and knew the right people and ... that he had confidence (Sun, Jupiter, Pluto and Sun square Jupiter on top) enabled him to be a star (prominent Sun). The pattern of artistic talent is there: Venus is conjunct Neptune, Moon is sesquisquare Neptune and Moon/Neptune is in hard aspect with Midheaven in Taurus. It was very important to know the right persons (Pluto oriental) and money was, too (Venus semi quintile Pluto: a creative way to earn money). The fact that he dared to present his art and his confidence (Sun, Jupiter, Pluto and Sun square Jupiter on top) enabled him to become the famous artist that he was and still is. 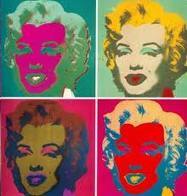 There is an important position for Pholus in the chart of Andy Warhol, the man who introduced pop arts. Pholus is the symbol of the turning point (and shooting your own feet). Inconjunctions refer to lack of balance and losts. In Warhol's chart Pholus is exactly trine Neptune (creating a turning point in arts), inconjunct Mars and Sun/Moon. And that is perhaps even more illustrating the kind life of Warhol who suffered after being shot (…) by a mentally ill woman (he lost her manuscript and she said that Warhol had to much influence on her...see Pluto's position) and who died in hospital. He was very afraid of hospitals (Pluto in the 12th house). The woman who shot him had transit Uranus sextile Pluto (easy way out to dramatic change) and transit Jupiter square progressed Mars (successful action) on the day that she shot Andy Warhol. Her natal Uranus was conjunct his natal Midheaven (meaning: she changed his perspectives and condition) and her Pholus sesquisquare his Mars (turning point in his energy level), with her Jupiter trine his Venus (supporting his style) and his Neptune inconjunct her Venus (maybe that is the resonation of the lost piece of art). Very interesting is that her Pholus is inconjunct his natal Sun (meeting her meant an unbalancing turning point for him…). Here is his natal chart with the transits of her day of birth.